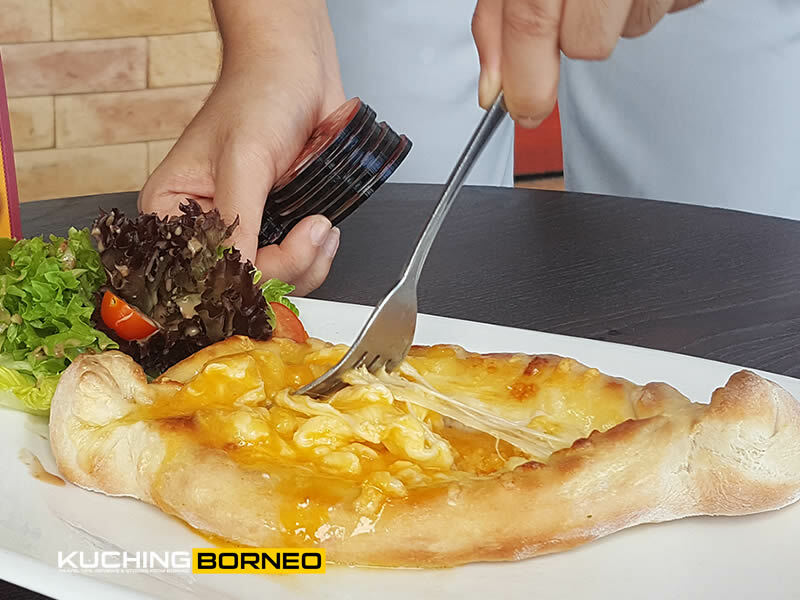 Remember the last post about Anchor Food Professionals (AFP), and how they served some different looking pizzas at Bistecca Bistro in Sibu? 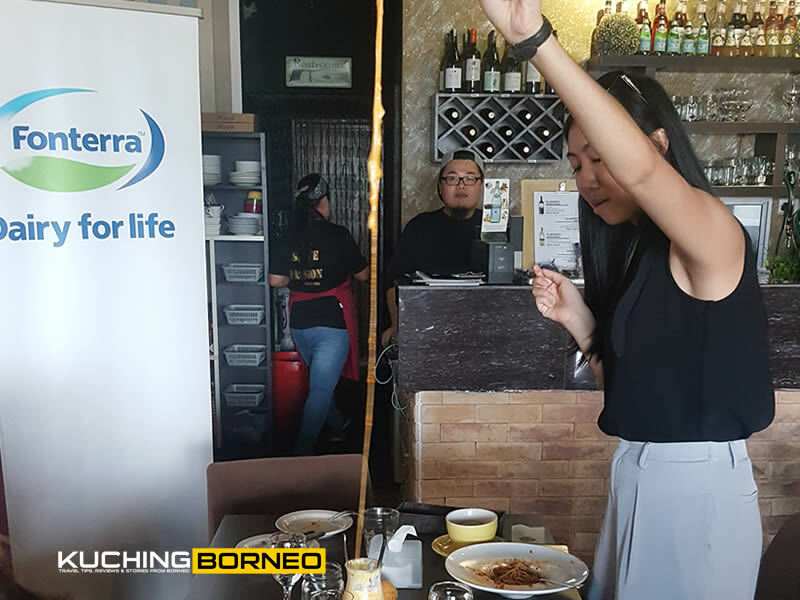 Well, AFP went down to Bintulu for a similar event, but this time at a place called Coup De Grill, a restaurant (or cafe) located at Medan area in Bintulu. Here, AFP served three pizzas, with two being different from the one in Sibu. Here’s what I had to say about the pizzas and the whole event itself. (If you malas want to read, go to the video at the end). Generally speaking, all pizzas can be very cheesy and pizzas served under AFP is no different. 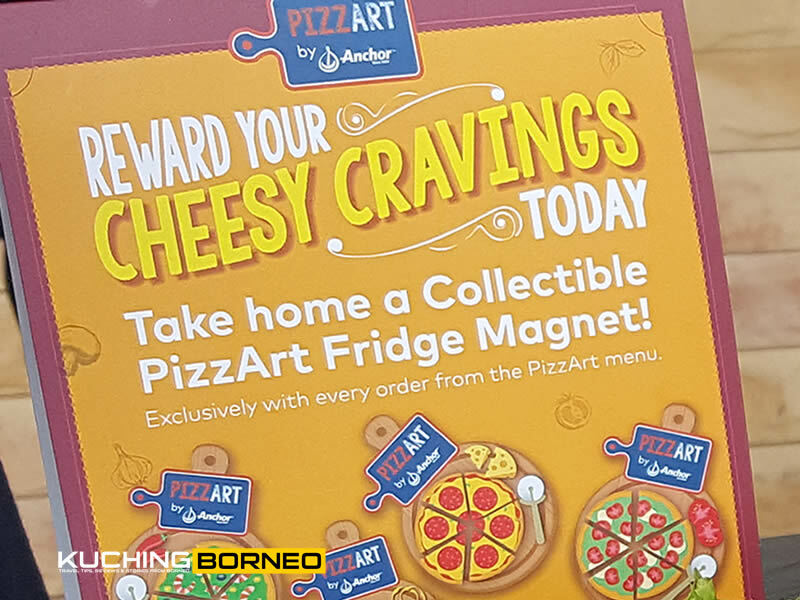 However, upon looking at the pizzas, as well as tasting the ones made by AFP, it was quite clear what makes AFP make pizzas that are unique in taste and shape, fitting their theme, PizzaArt. This was evident when all the pizzas served during my recent trip to Bintulu’s Coup De Grill were in different shapes and sizes, and not the typical circular shape. The one below, called a Pizza Bomb, had a tennis ball shape, and it can’t go all into the mouth with a bite. However, if you bite big enough, you’ll have that ‘exploding’ feel which is much welcomed. The Pizza Bombs up-close. Looks really delicious! 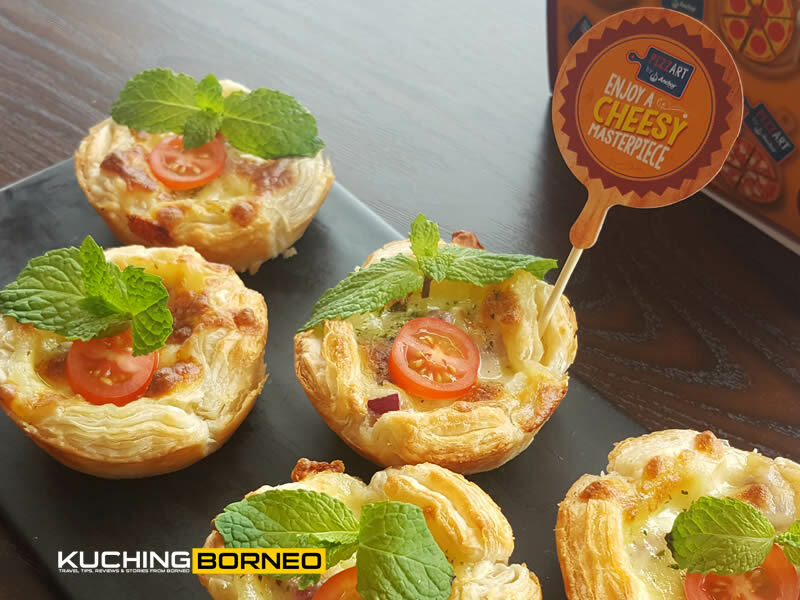 Adding to that welcomed ‘exploding feel’, was the perfect combination of cheese and cream, both by Anchor, which created something which isn’t too cheesy, and not too creamy. The second pizza, the Adjaruli Khachapuri, known also as the Boat Pizza for it’s shape, is best eaten when hot, or at least warm. The boat pizza must be properly mixed when its still hot. This is because this traditional Georgian dish needs to be stirred while the cheese is still warm and in liquid form, to produce something worthy of your taste buds. Leaving it to cool will cause the cheese to harden, hence making it difficult to stir, and the whole topping unevenly mixed. Indirectly, when you decide to stir it late, the taste would not be as expected. Miss Ju Yi pulling the cheese after mixing the Pizza Boat. That said, if you do order the Pizza Boat, stir the toppings immediately and eat it fast-fast! Anyway, they say you must save the best for the last, and this is where I talk about the Mini Muffin Pizza, which looks a bit like a cup-cake, but can be mistaken for a muffin, and hence the name. Muffin Pizza was like a whole pizza in one cup, and the best dish today. In my opinion, the Mini Muffin Pizza was also the most presentable, looking like a flower in a way. On taste, the crispy crust breaks with plenty of splendor. 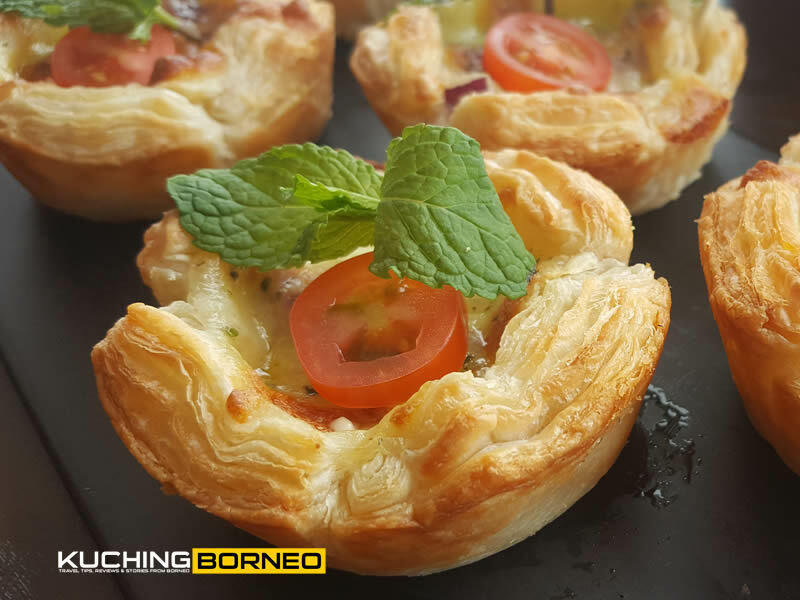 A bigger bite on the Mini Muffin Pizza allows me to taste the soft and warm cheese and butter topping creating ‘foodgasm’ instantly. Between the three, this is highly recommended by yours truly! 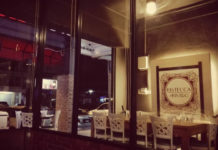 As mentioned previously, all three pizzas can be ordered at Coup De Grill in Bintulu. To ease your navigation, check out the map below. 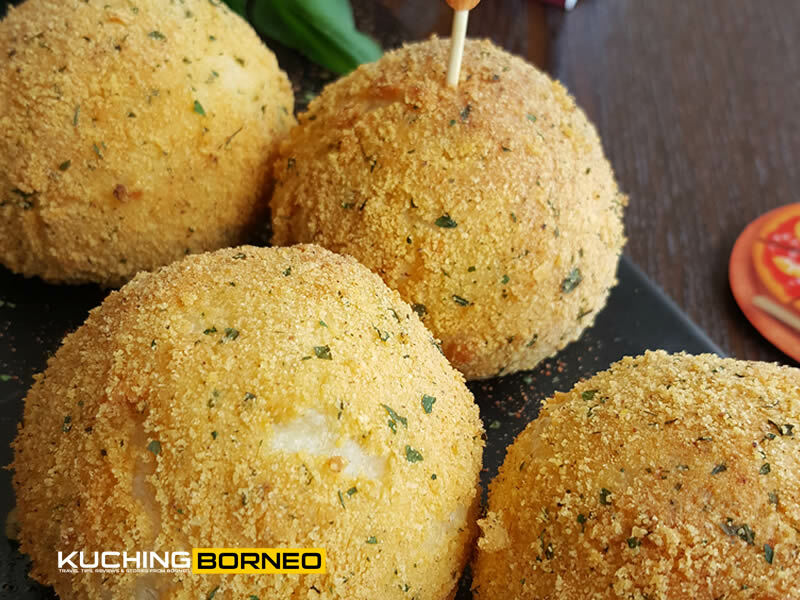 If Bintulu is too far, then you can go to Chillax Cafe & Bistro in Miri, or if you are nearer to the central region of Sarawak, head on to Bistecca & bistro in Sibu. So, for this post, I thought I’d also do something different, and the video below is a summary of the whole event. Do check watch me, and subscribe! ….and one more thing, there’s a promotion on-going now if you do order pizzas by AFP as seen in the photo below. Free fridge magnets for every AFP Pizza. Any collectors of fridge magnet out there? // Post was written based on the experience of Joachim Then.